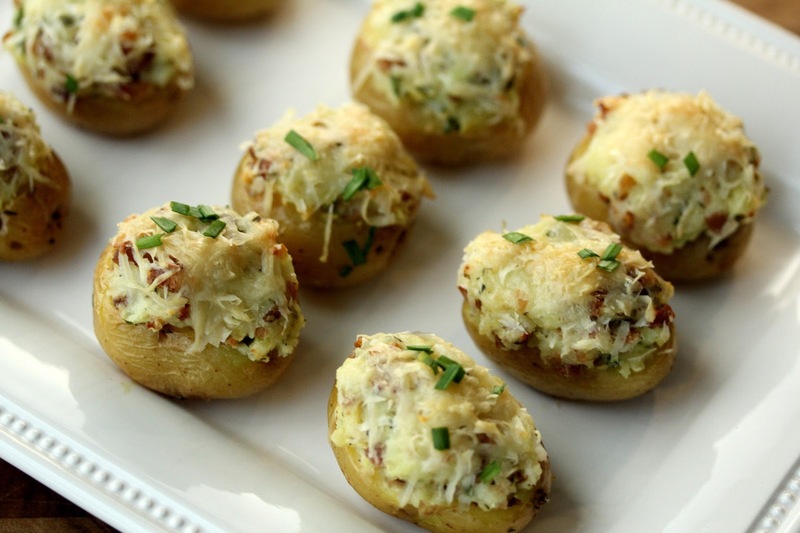 You can make these little mini twice-baked potatoes in advance and bake them the day of the party. 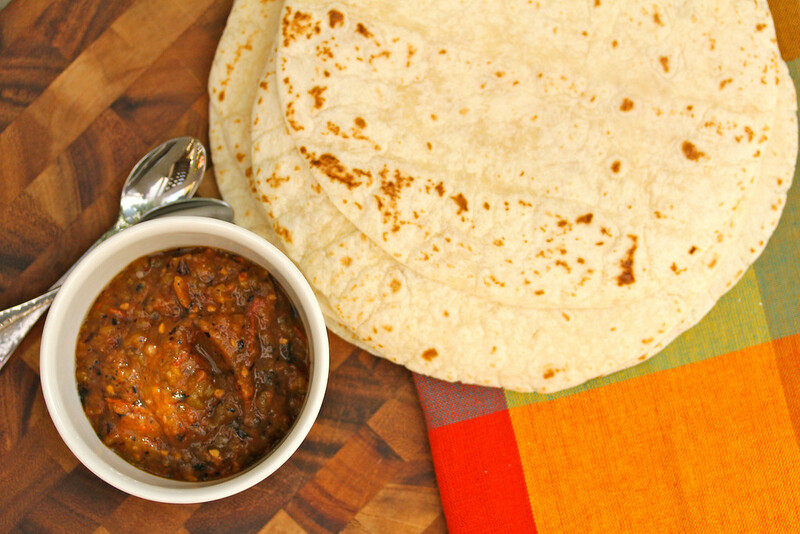 Another make ahead idea... this roasted jalapeño salsa is hot and spicy, and would be perfect with nachos. 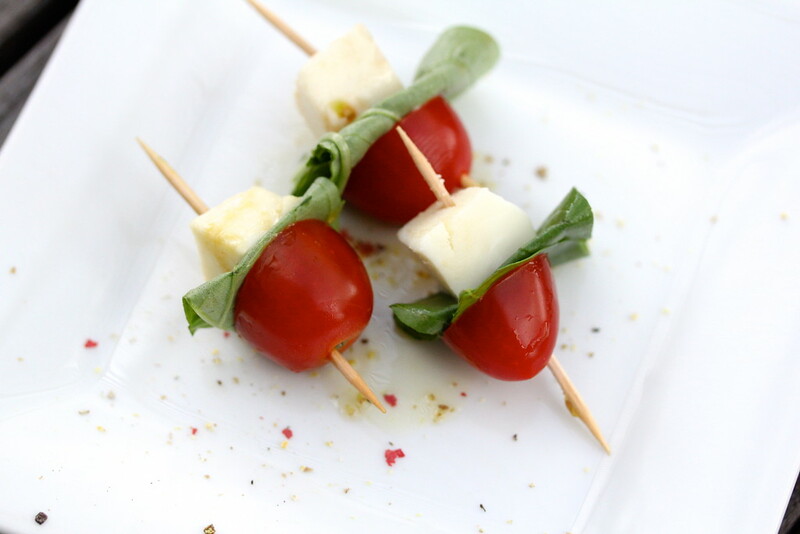 More make ahead appetizers are these mini caprese salad skewers. They are super light and perfect for your "no carb" guests. 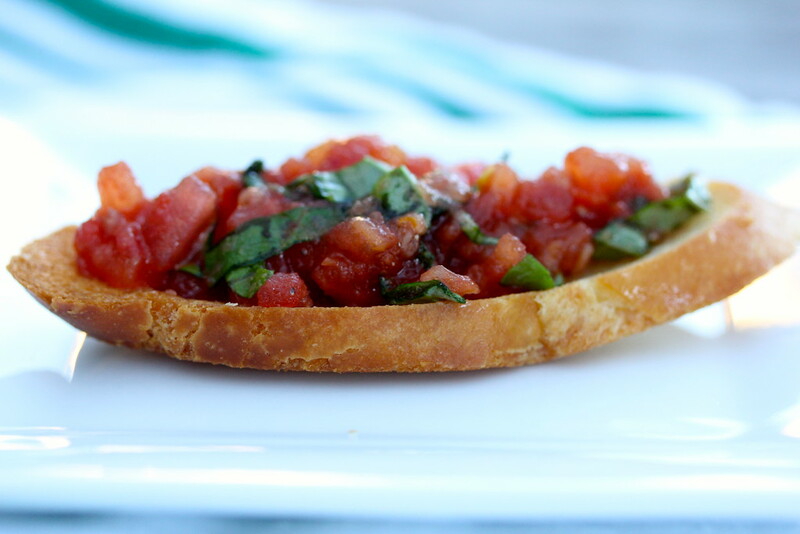 Another Italian themed appetizer is this tomato bruschetta. 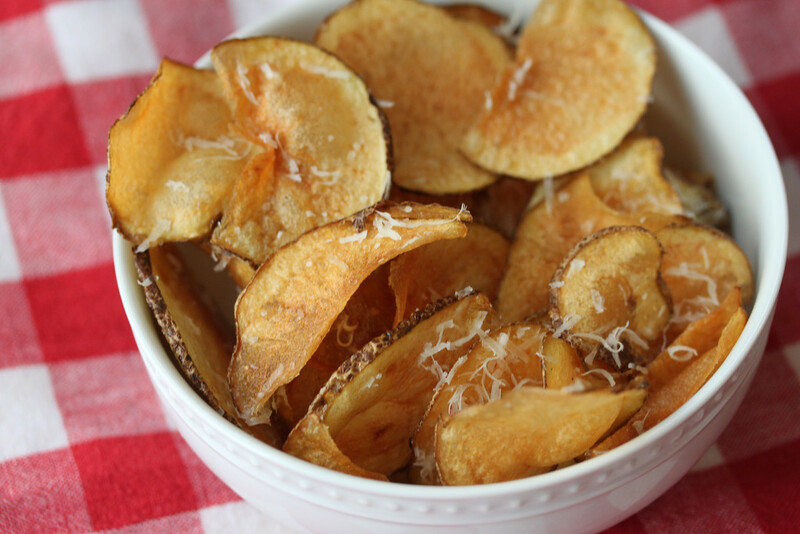 These homemade potato chips with parmesan are amazing. 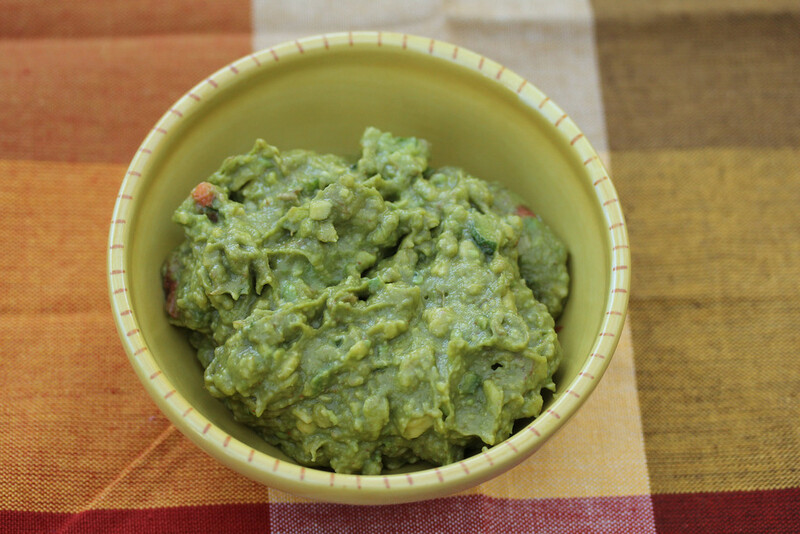 And what would the big game be without guacamole? 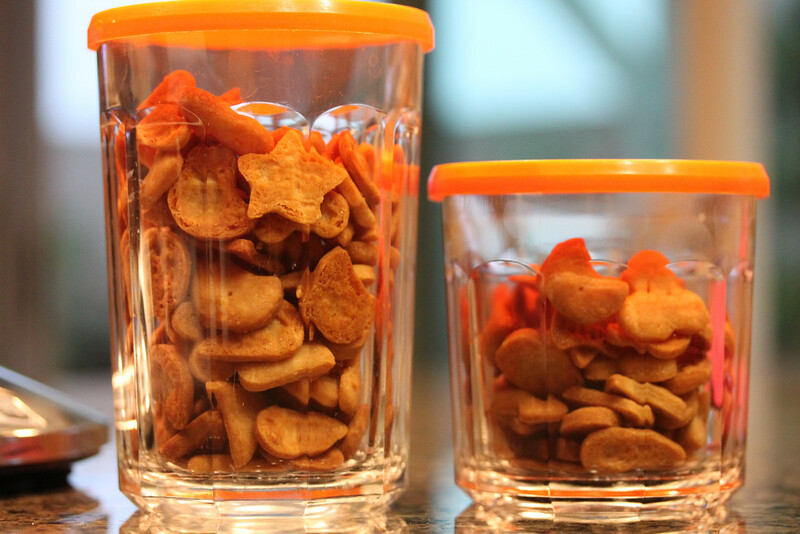 These little mini cheddar crackers are totally tasty and cute. 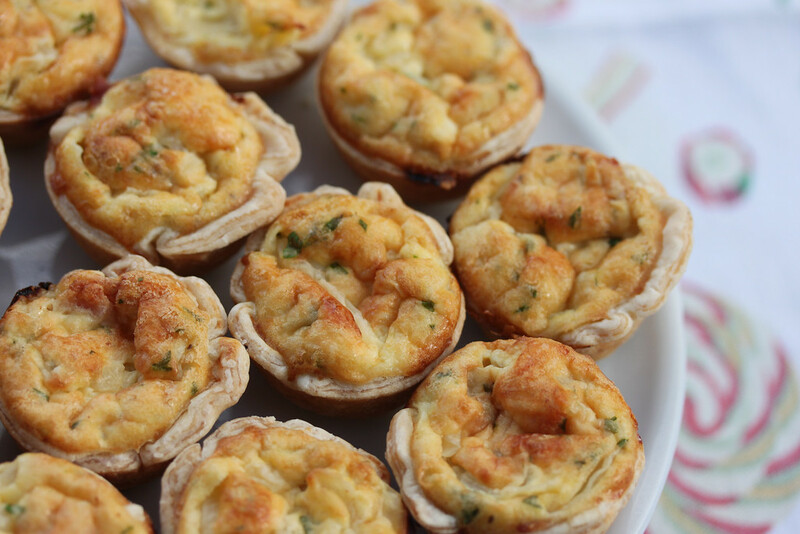 And to continue with the "mini" theme, mini quiche lorraine. These are good, people. 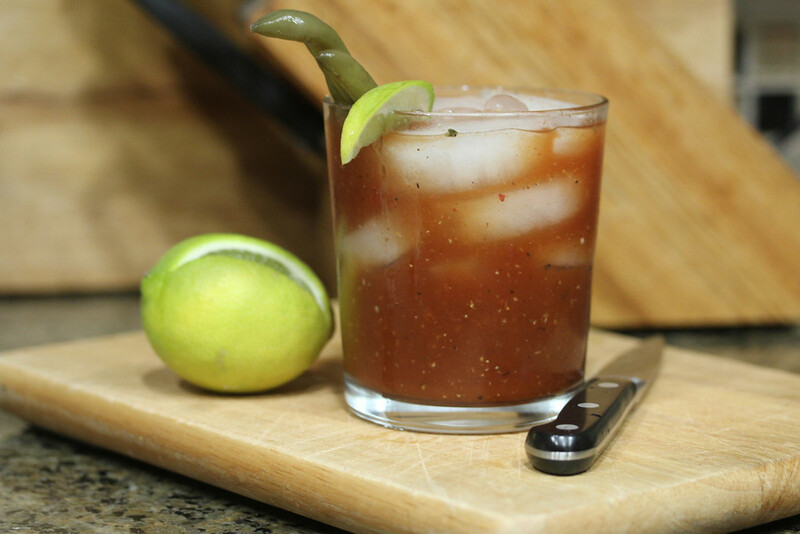 You could also serve these Bloody Marys. 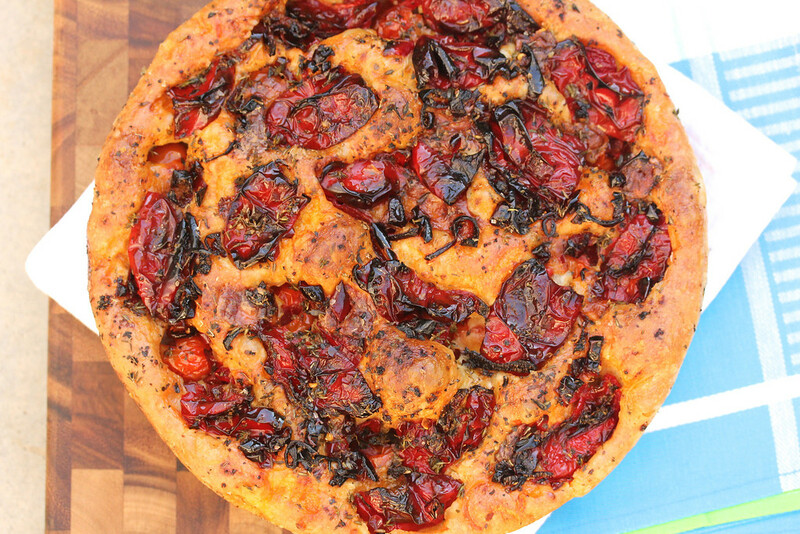 This focaccia is also also pretty impressive. This queso blanco dip looks amazing. I love this deviled egg recipe. How about whole wheat cheddar pigs in a blanket? These mini corn dogs are super cute. I definitely want to try these parmesan garlic straws. As well as this caramelized onion, gruyere, and bacon spread. OMG. I need some of this baked crab dip right now. Enjoy the game. Enjoy the food. Win the pool. Yum Yum Yum!!! I am working on getting my menu together and I might just add some of these. Ahhh, I don't know where to start! It all looks delicious! Mini quiche lorraine and those baked potatoes will be hard to resist..
Those baked potatoes and quiches are worth it Yvonne. Just go with it =) Thanks for visiting. Your baking and photography are amazing.